There is a special kind of cell in mice that did not divide and wouldn't die but can make the animal accelerate ageing, the researchers found that clear away these 'senescent' cells can alleviate or even prevent certain illnesses and stimulate new tissue production.This year alone, it has been proved that clearing out the cells in mice can regain fitness, fur density and kidney function. It has also improved lung disease and even mended damaged cartilage. We know that when a cell becomes mutation or damage it often stops dividing and may be secreting a distress signal to inform the immune system clearing out the abnormal cell,No one is quite sure when or why that happens. It has been suggested that the immune system stops responding to the cells. Lacking of universal features as marker to identify the senescent cells lead to the work very laborious . 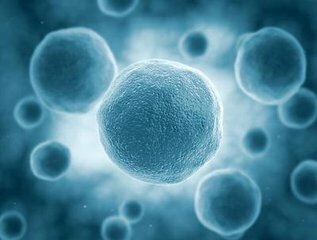 Senescent cells relay on protective mechanisms to stay undead state, different cell may have a unique way to protect itself from wiping out. reserchers identified six signalling pathways that prevent cell death, Then it was just a matter of finding compounds that would disrupt those pathways. 14 senolytics have been described in the literature, a peptide that activates a cell-death pathway and can restore lustrous hair and physical fitness to ageing mice , senolytic drugs just wipe out senescent cells which already exit ,they won't prevent the formation of such cells in the future, which means that senescence can continue to perform its original tumour-suppressing role in the body. If eliminating senescent cells in humans does improve age-related illnesses, researchers will aim to create broader anti-ageing therapies.